Take women on a sensorial journey with Downy Sensitive! 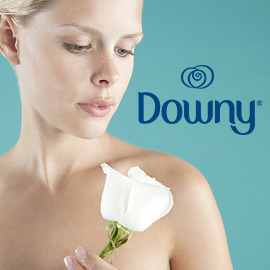 Downy, the fabric softener brand well-known for its special long-lasting aroma, is launching a new product - Downy Sensitive - across Latin America. Just like the other Downy fabric softeners, Downy Sensitive gives long lasting freshness to your clothes… But now it brings something more, with the “Sensitive” benefit. Can you help Downy to find a way to communicate “Sensitive” to modern women in Latin America? Through a powerful and impactful poster, convince modern women that Downy Sensitive is the best choice to “take care of” their skin/to be “safe for” their skin and have long-lasting freshness for their clothes. Join the contest now! Jury's Prize June 12, 2016 23:59 UTC!